Sometimes the best of games are the ones that let you fly free into the world and experience the fun and joy of shooting random objects in the name of freedom! Yes, that does sound specific, doesn't it? Well, if you're looking for that kind of game, then look no further than Trainpunk Run. 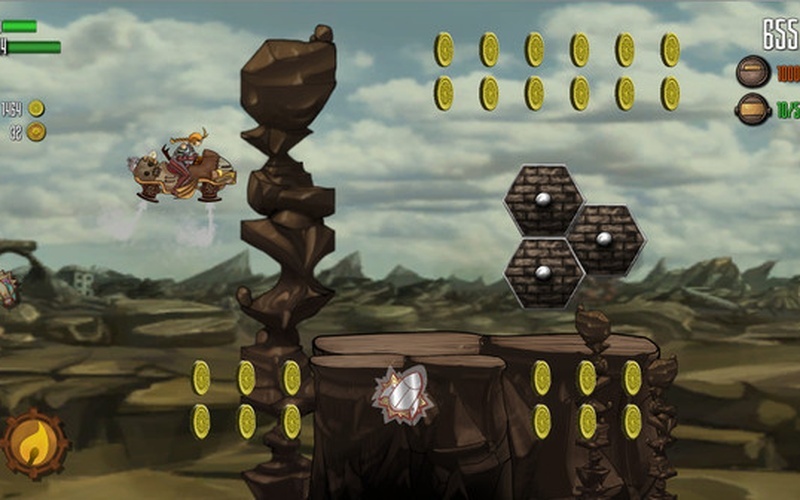 For here, you'll be fighting off enemies to free five worlds from a tyrant! All while looking dang good doing it. 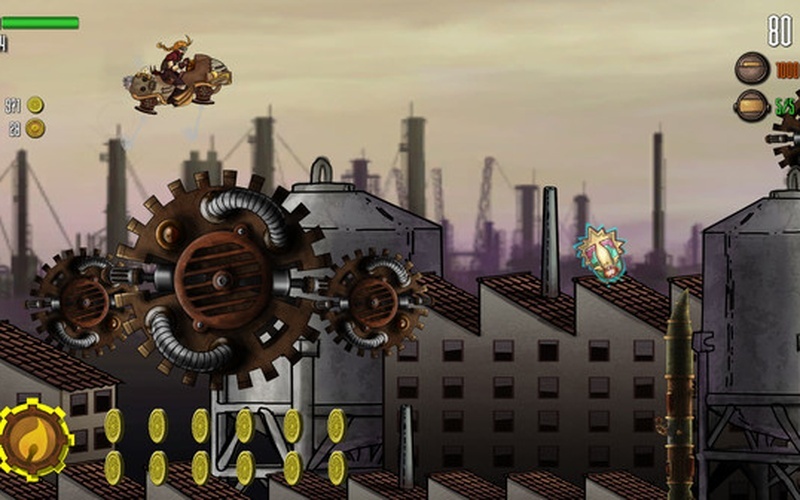 This “fly and shoot” video game is more than just a fine time, it embraces a steampunk environment. You will play as Ryana, who just so happens to be a military pilot. The evil Lord Blackname has conquered many worlds, and it's up to you to free them all!. 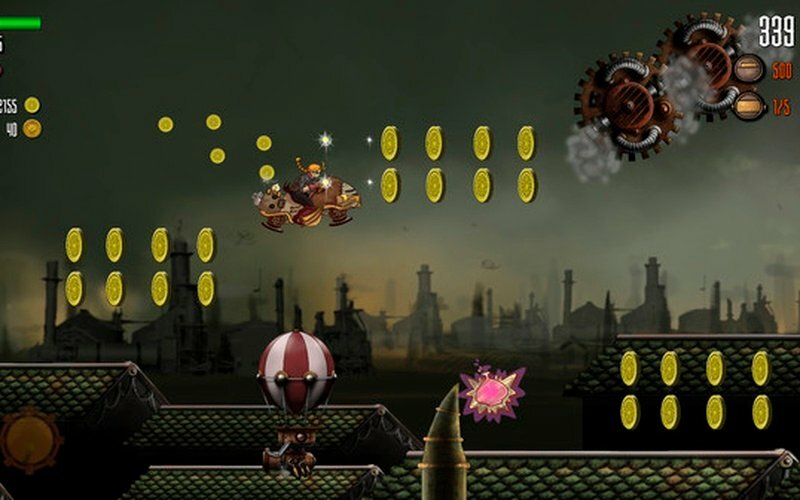 Collect coins to buy different Traninpunks (the vehicles you ride and pilot in the game), as well as power-ups and customize Ryana's outfit. Why not look stylish while saving the world? 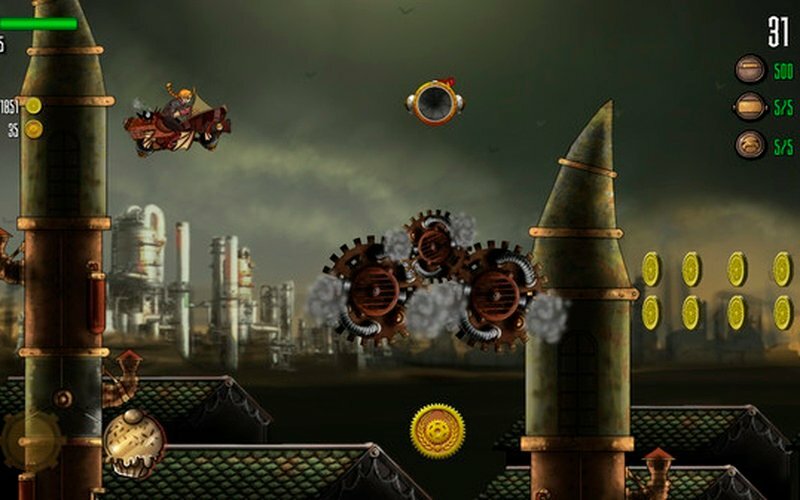 It may seem odd all the elements that went into Trainpunk Run, but in truth, this is a game made in memory and commemoration of pioneer female pilots such as Amelia Earhart, Jane Trefusis Forbes, Jacqueline Cochran or Harriet Quimby. You'll be able to honor them by playing this title! Through five harrowing levels you'll fight evil, fly the skies, and send back letters to your allies so that they can decipher lord Blackname's plan, everything is up to you! So ride high in the skies, and enjoy this powerful story of a woman trying to save the world! You can get your Steam Key code for Trainpunk run here, don't miss out!